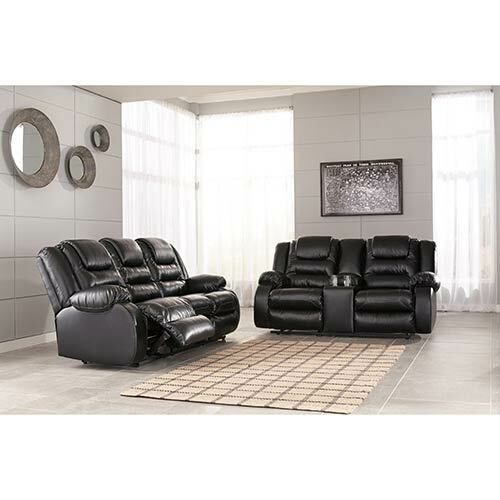 Create the ultimate place to kick back with this super sleek, extra comfy reclining living room set. 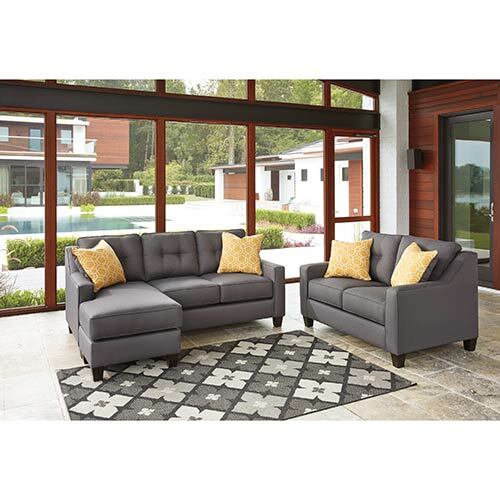 Durable, stain-resistant fabric gives this living room set a stylish look that will stand the test of time. 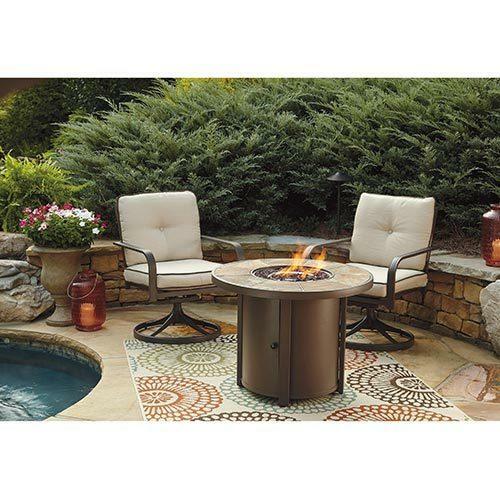 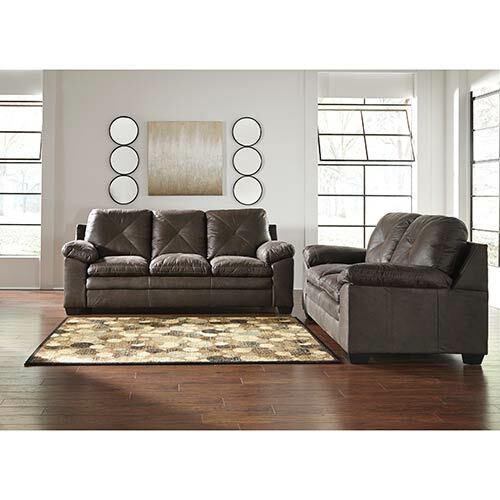 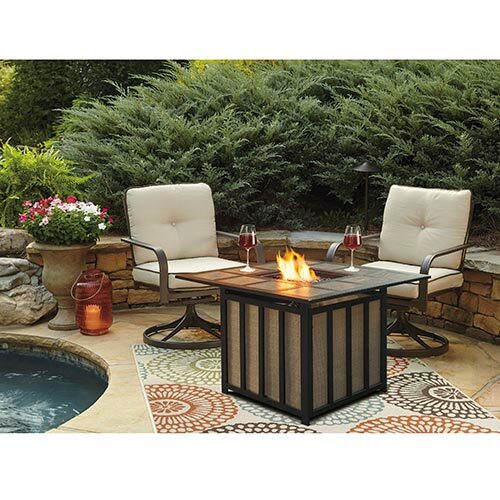 Featuring a comfortable, casual design, this living room set is totally lounge-worthy. 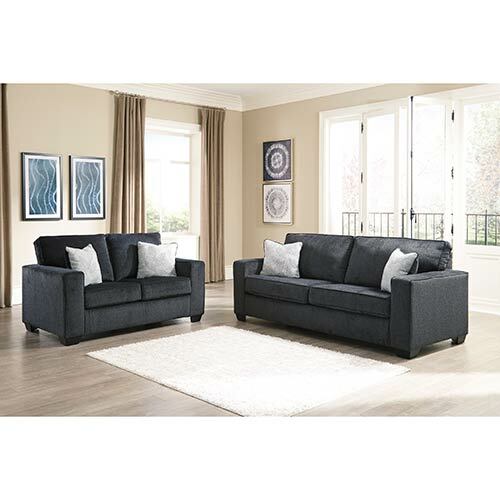 The clean-lined profile of this living room set is a beautifully contemporary addition to your space. 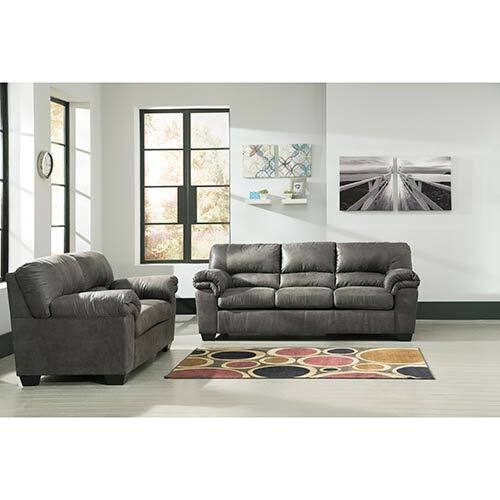 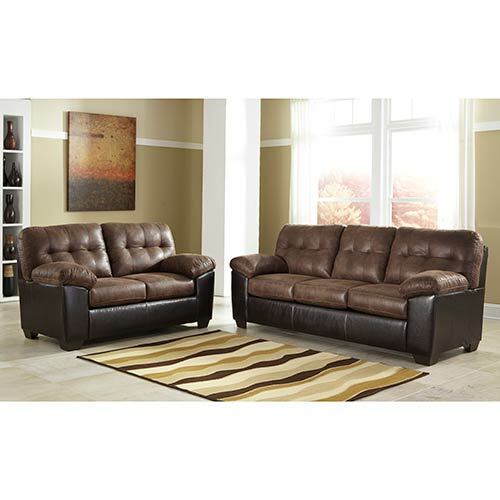 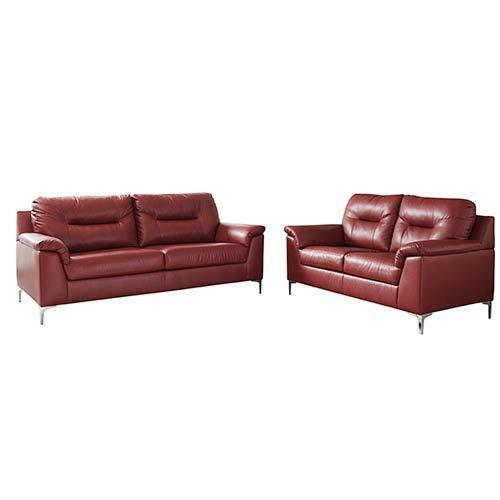 Comfort is calling with this stylish Sofa and Loveseat in supple faux leather upholstery. 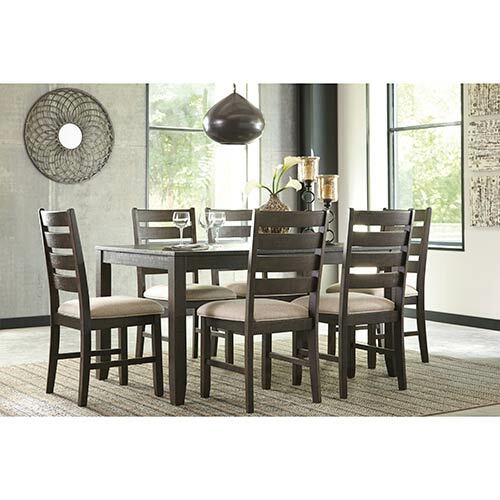 Satisfy your appetite for comfortably stylish living with the simple, chic profile of this 6-piece dining set. 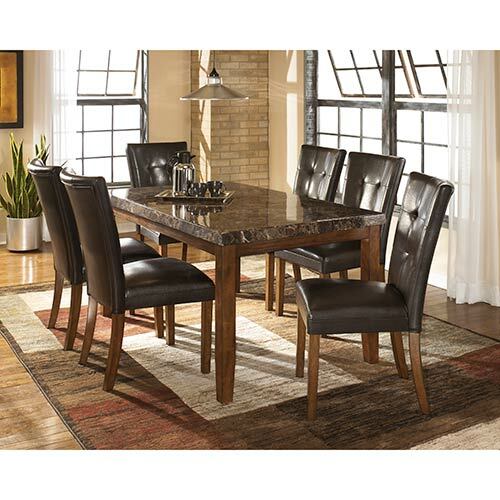 Dine in style with this faux marble counter-height dining table and four fashionably stitched dining chairs. 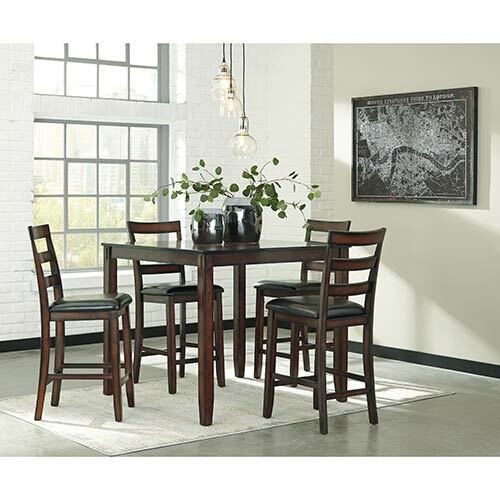 Satisfy your appetite for comfortably stylish living with the simple, chic profile of this counter-height dining set. 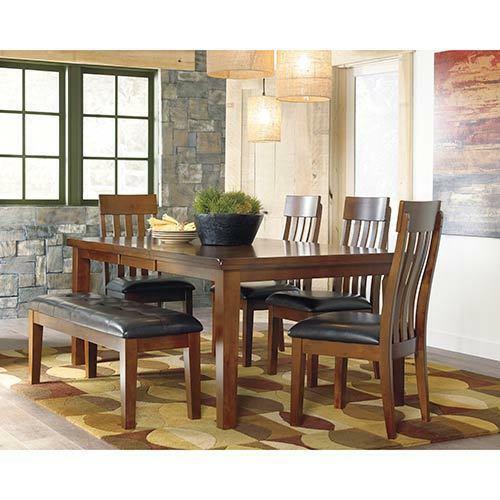 Add modern sensibility to your dining space with this stylish and durable dining set. 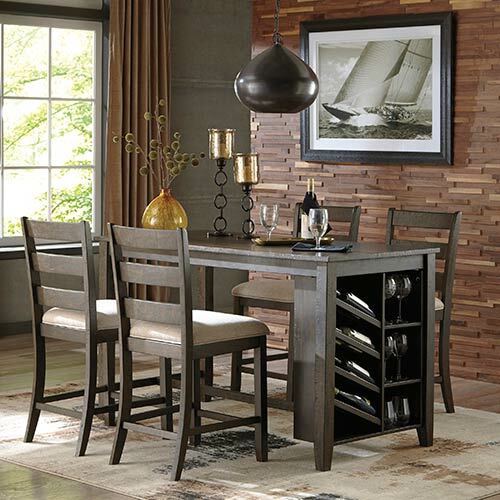 This dining set features a built-in wine rack and storage shelves mealtimes a little more sophisticated. 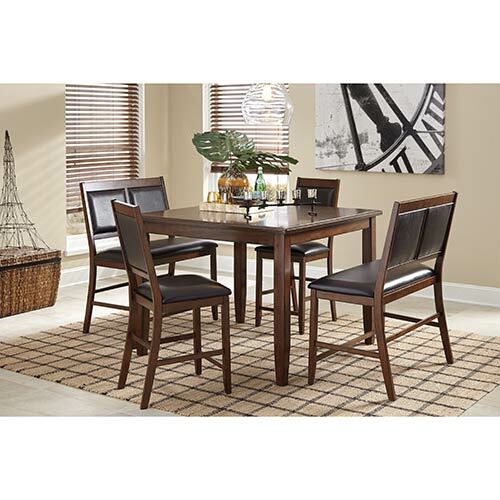 With comfortable bench seating, this casual dining set is perfect for bringing your family closer. 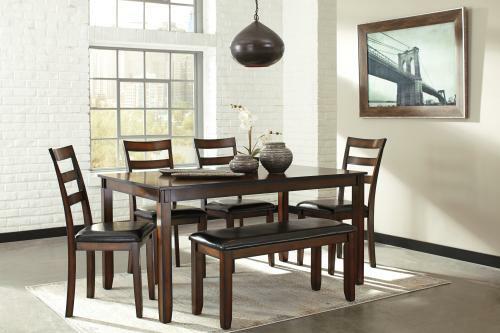 The classic style of this dining set features clean lines and rich wood tones to complement any décor. 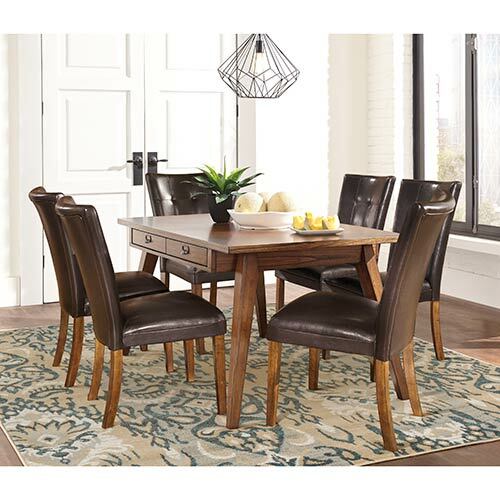 Designed with a two-tone aesthetic, this 5-piece dining set serves up a fresh twist on mid-century style. 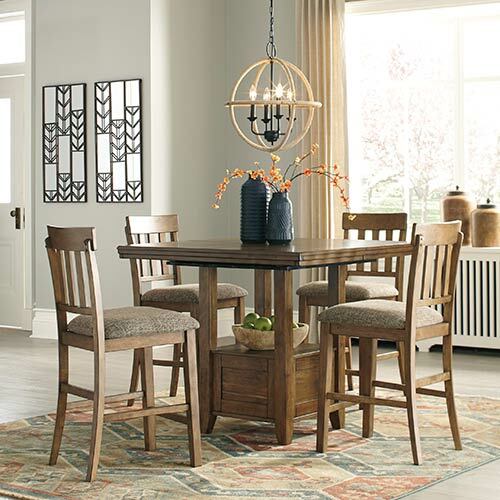 This inviting dining set updates your space with a trend-right, urban farmhouse look. 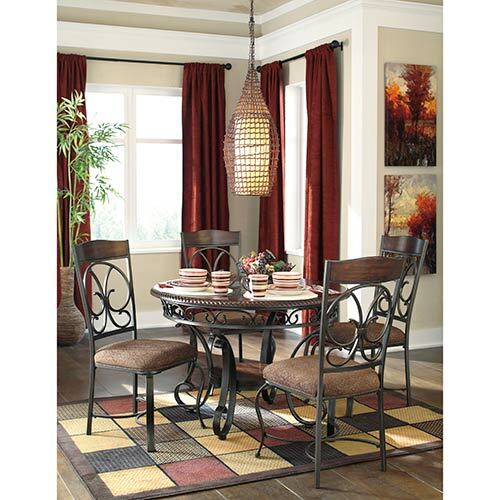 With ornate details this dining set brings the sophistication of old world style to your dining space. 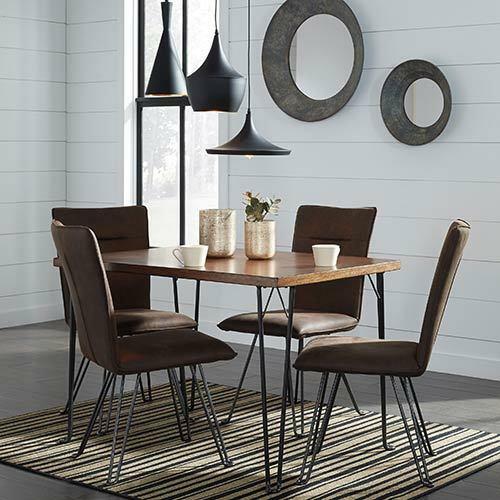 Featuring a mid-century inspired design, this stylish dining set will impress your guests. 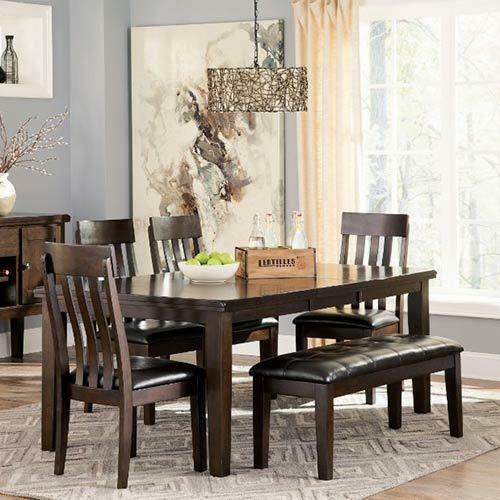 A perfect find for smaller spaces, this dining table is compact yet spacious. 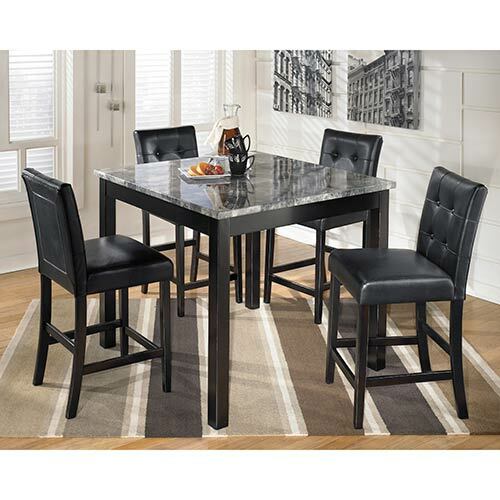 This dining set is sleek and comfortable, making every meal more enjoyable. 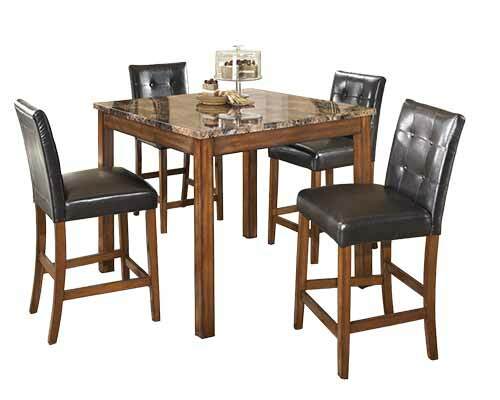 This 7-piece dining set features a clean design to make your mealtimes a little more sophisticated. 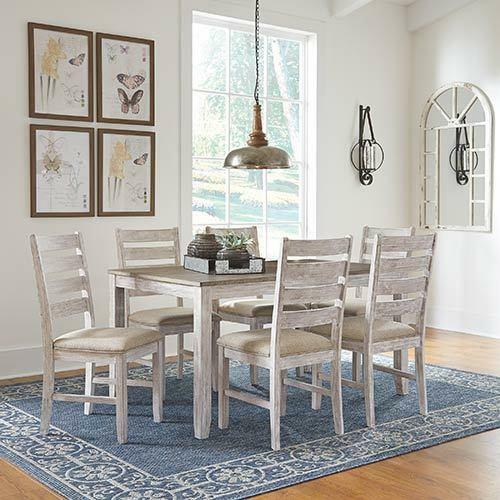 Featuring a timeworn, whitewash finish, this 7-piece dining set brings a little coastal chic to your décor. 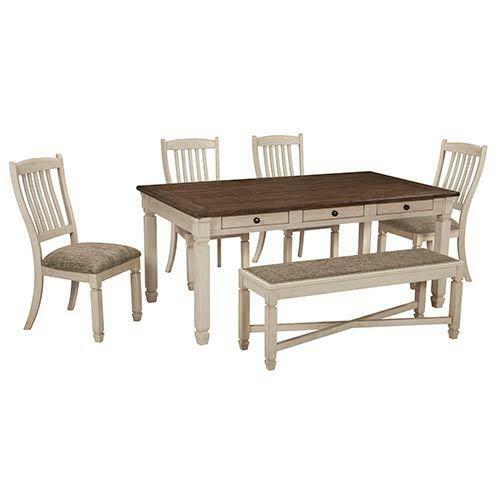 Bring farmhouse inspired style to your space with the gently distressed finish on this casual, cottage-chic dining set. 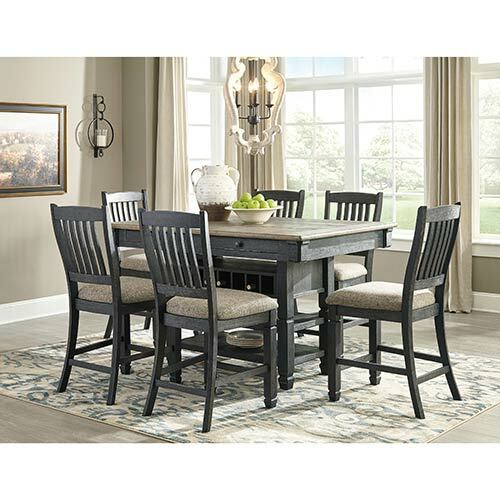 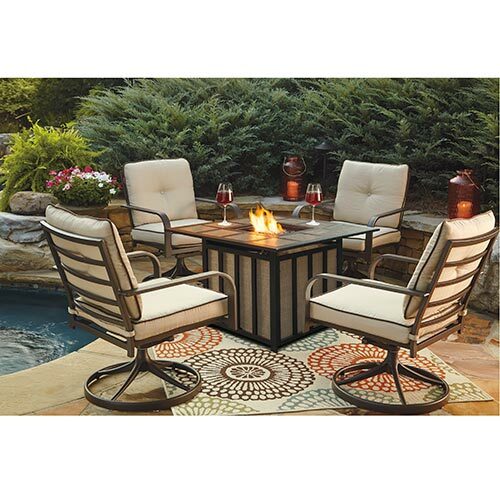 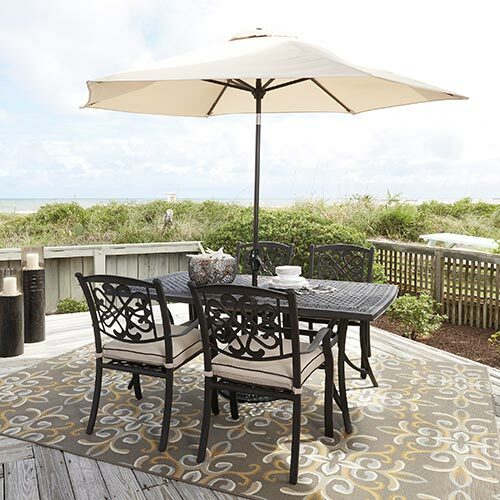 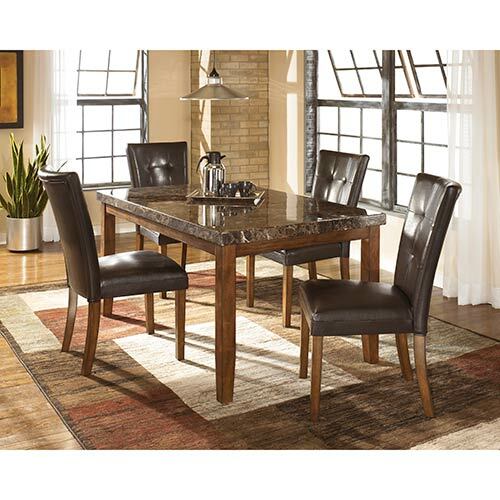 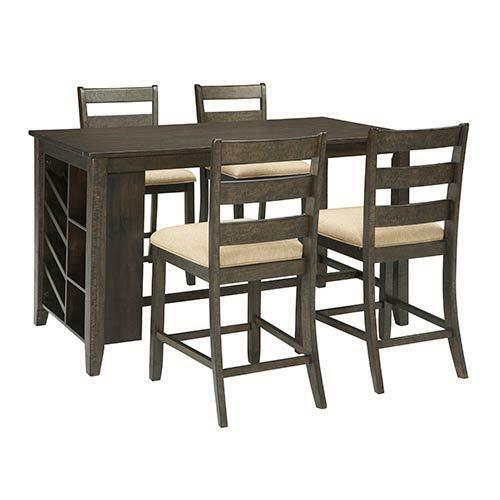 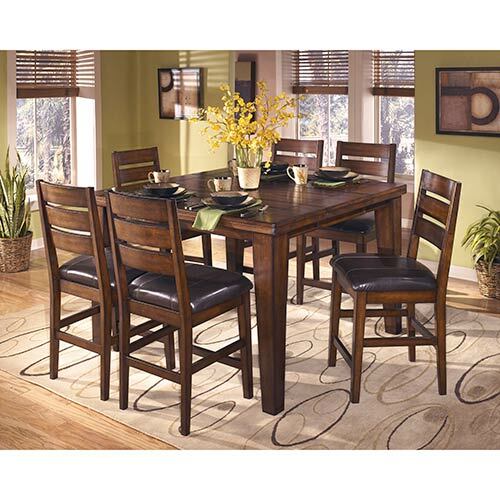 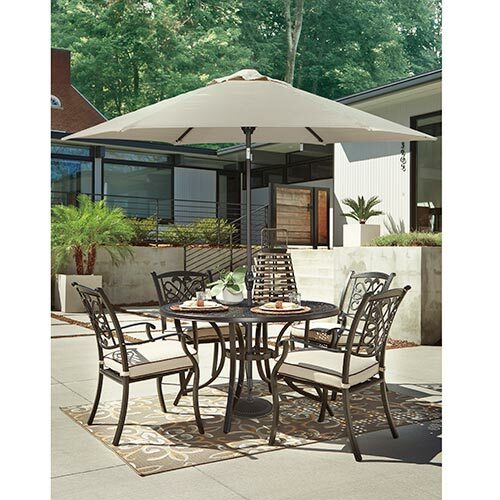 Gather in casual, comfortable style with the warm, versatile style of this 6-piece dining set. 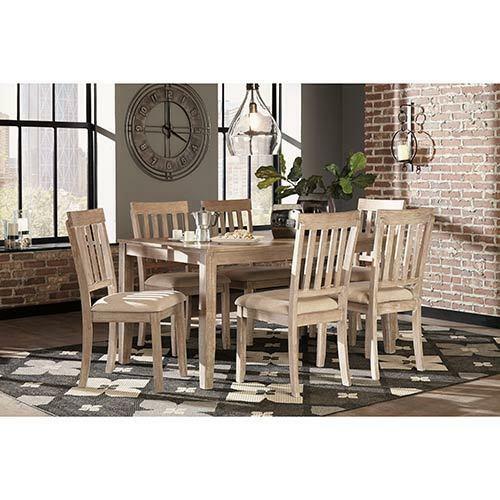 With a warm, versatile finish and plenty of seating, this beautiful dining set will fit all your guests. 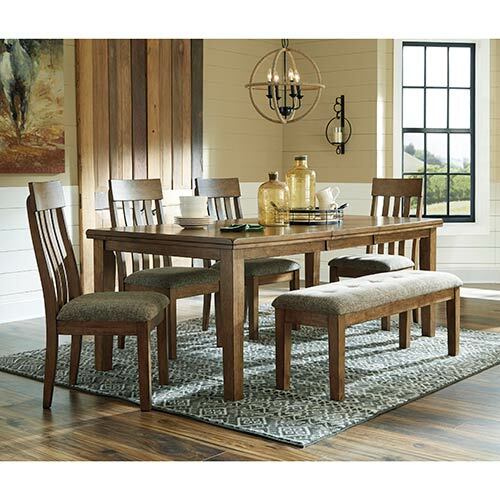 Comfortable and simply styled, this dining set makes mealtime more special with enough space to seat everyone. 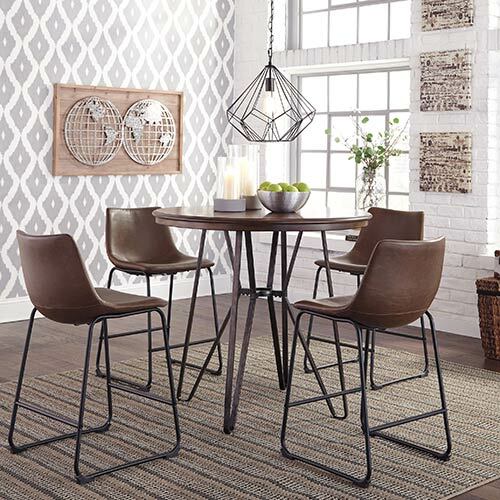 Sleek and comfortable, this dining set features eclectic design details to create a uniquely contemporary style. 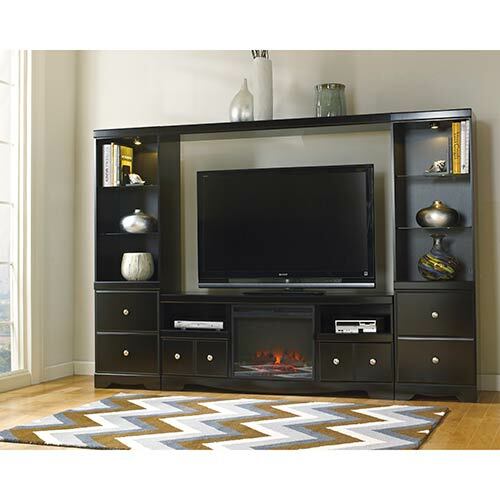 Instantly add cool, contemporary style to your living space with this highly functional entertainment center. 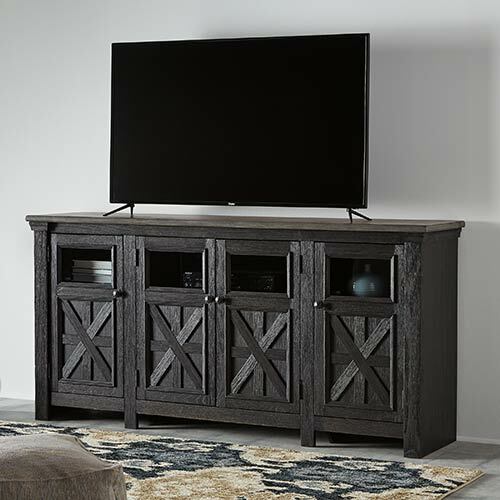 Enjoy your TV, front and center in your favorite room, with the oak-like gray finish and stylish design of this TV stand by Ashley. 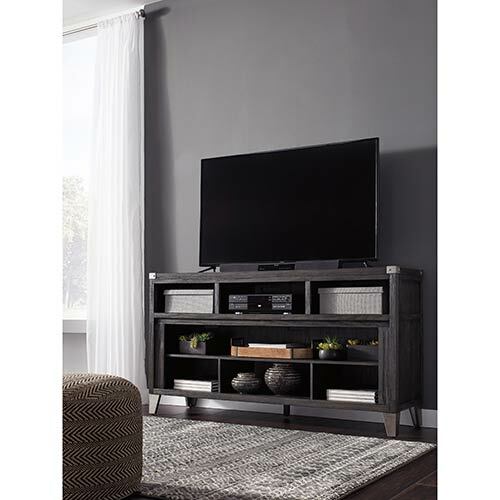 The rich style of this TV stand adds both drama and allure to your living room décor. 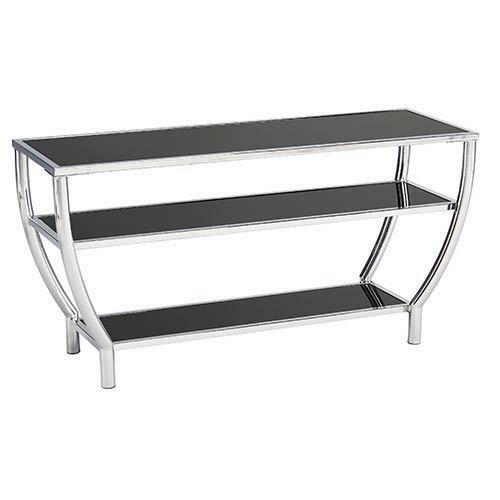 Showcase your TV and accessories on this sleek TV with tempered glass shelves. 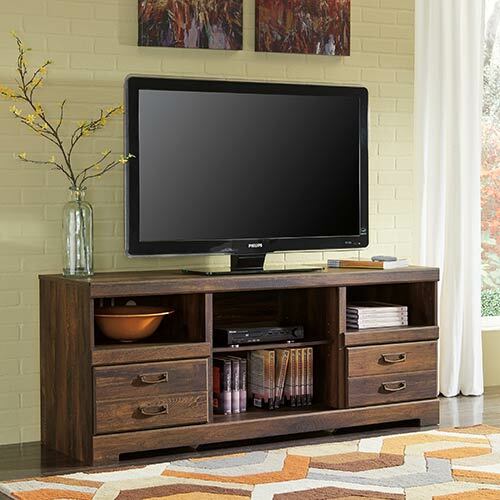 This TV stand instantly enhances your living space with the perfect combination of vintage, casual style. 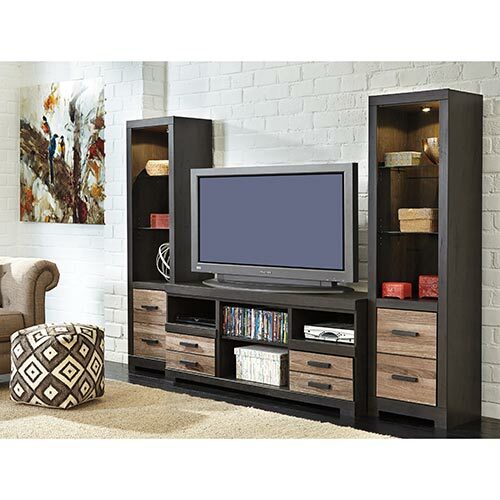 Have a place to keep all your movies, games and more on the Harlinton TV Stand. 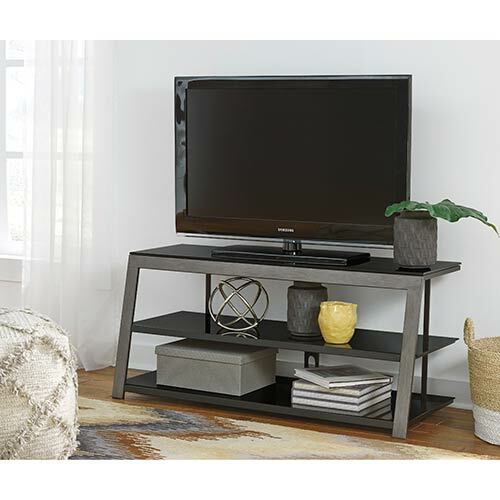 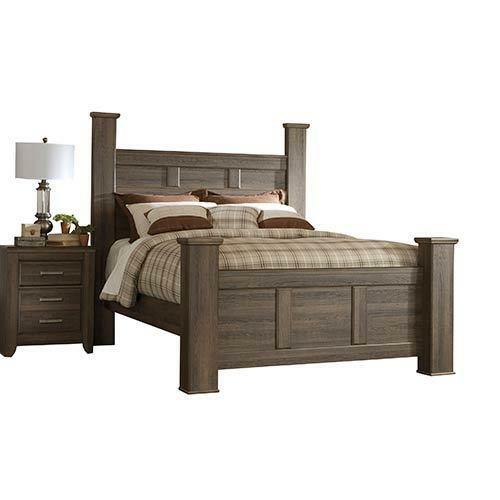 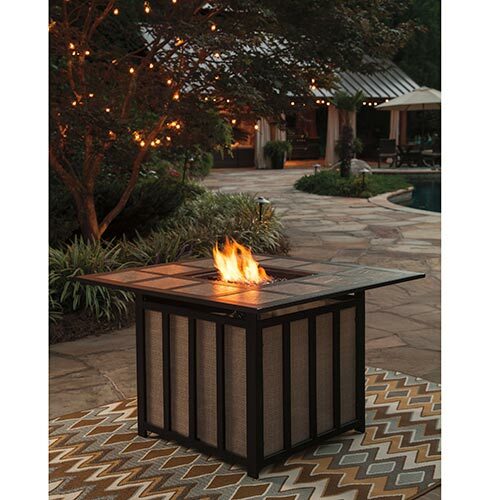 This gray replicated oak piece will make a big difference in your living space. 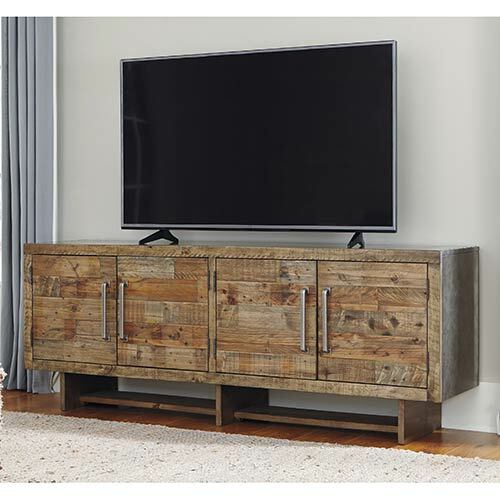 This large TV stand features a rustic modern aesthetic to stylishly store all your media. 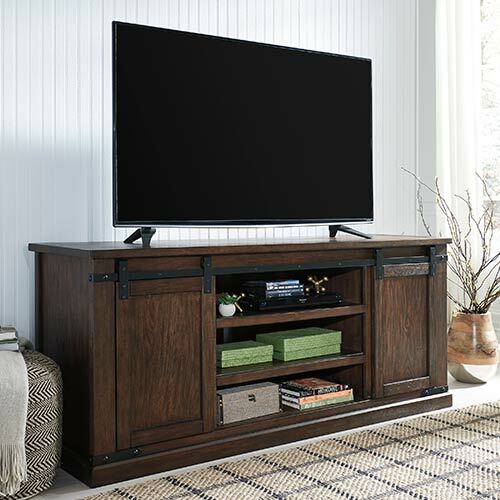 With barn-style doors and open shelving, this TV stand is a stylishly convenient media storage solution. 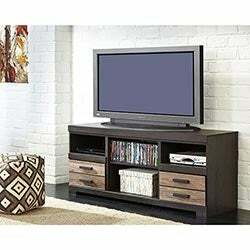 With convenient features and an industrial look this TV stand makes it easy and stylish to manage your media. 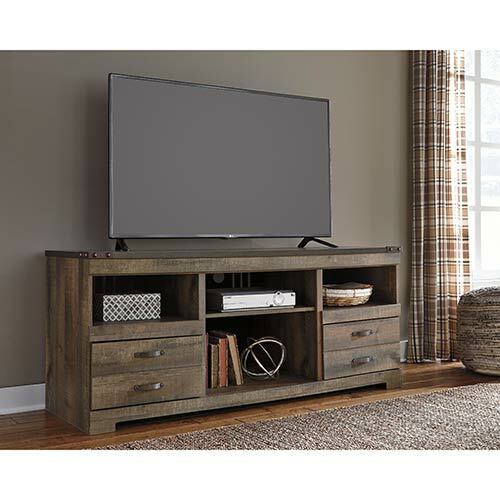 This TV stand makes an inviting addition to your living space with the rustic design and ideal storage space. 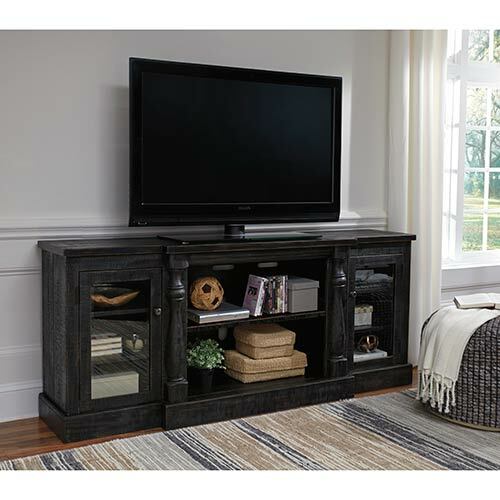 This rustic and roomy TV stand is just what you need to add a hint of country chic to your décor. 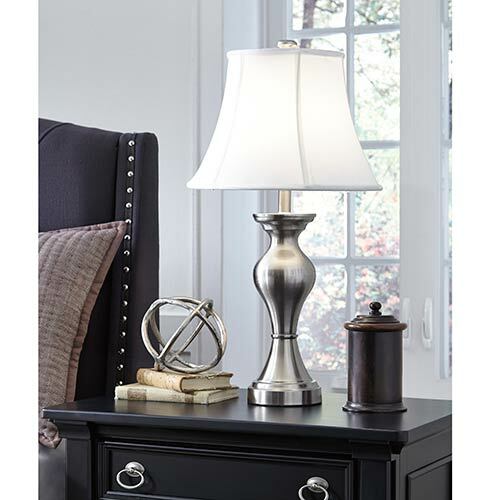 This stunning table lamp set by Ashley punctuates your space with unique styling and design. 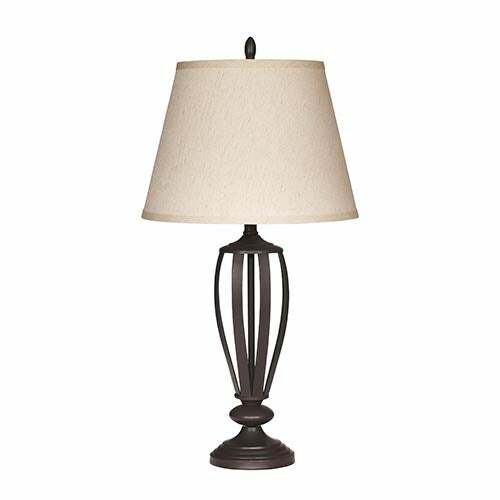 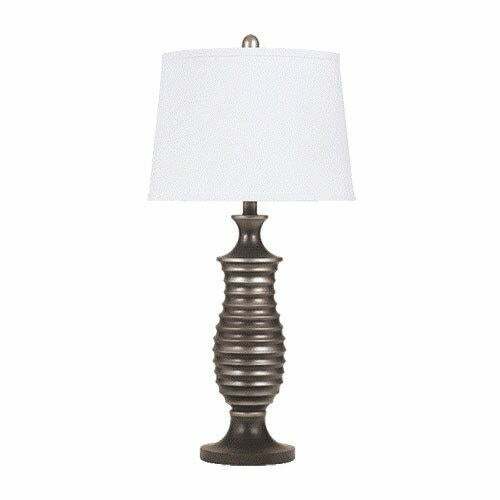 A classic addition to your living space, this lamp pair features an airy, bronze-toned design. 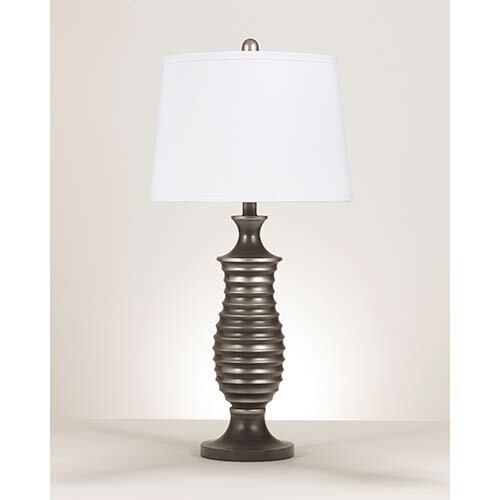 Conquer contemporary style with this lamp set featuring smooth lines and just enough sheen. 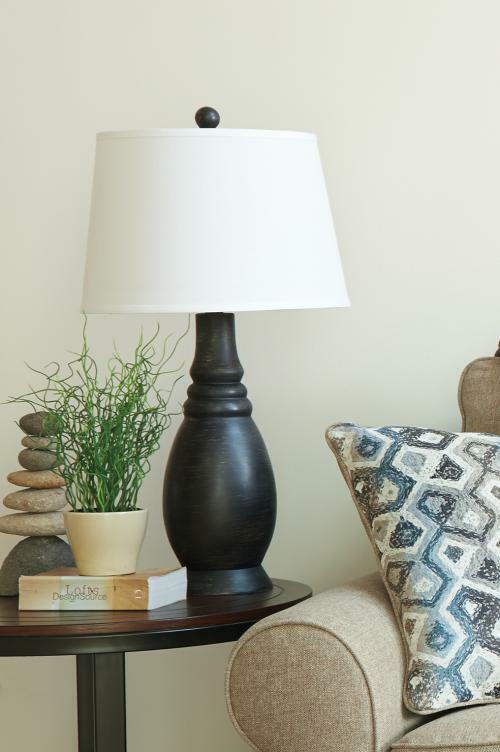 This simple lamp set complements any décor so your personal style can shine bright. 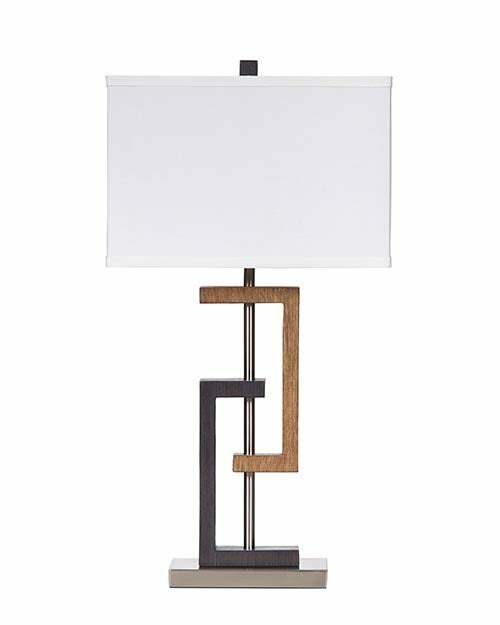 The angular design of this lamp set lights up your space with cool, contemporary style. 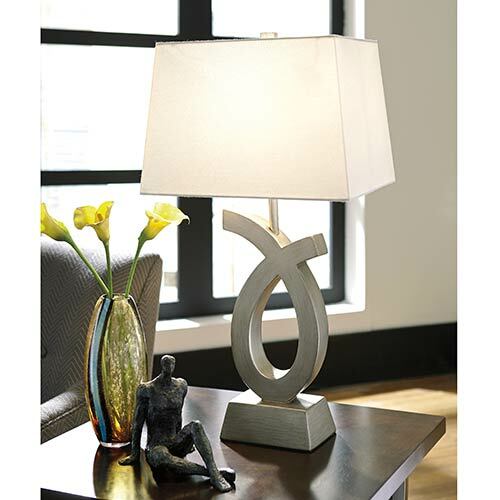 Bring a little light and a whole lot of charm into your home with the Signature Design "Rory" Lamp Pair. 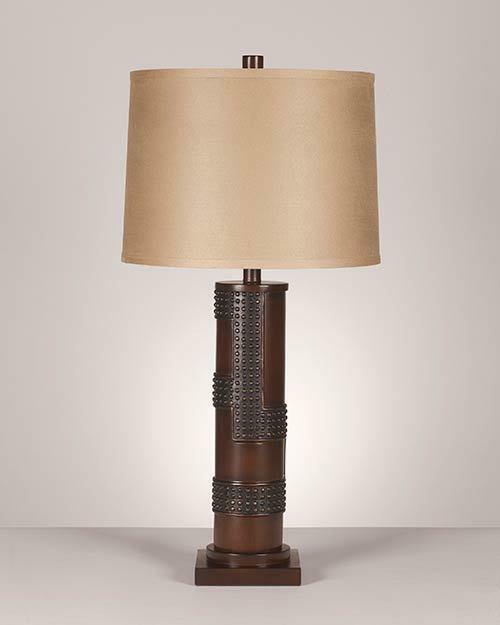 Get the perfect amount of light with the 3 way lighting of the Signature Design "Oriel" Table Lamp. 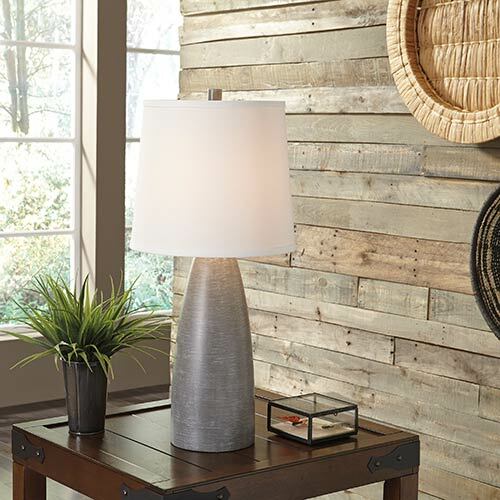 Bring a cool new look to your space with the urban industrial vibe of this effortlessly stylish lamp set. 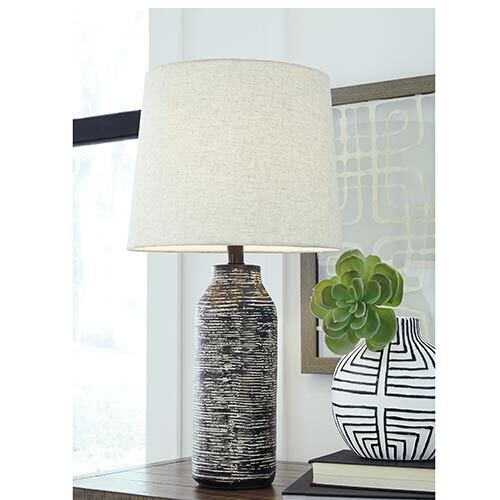 Add visual appeal to any décor with this soft and subtle shape of this sophisticated lamp set.